For all of its bugs and flaws, one thing Assassin's Creed III did right was the naval missions. Added to the series in Ubisoft's Revolutionary War adventure, these segments put the assassin Connor at the helm of a massive ship, taking him away from Boston and New York and up and down the coast of the continental United States. As great as they were, though, these segments almost felt like a separate game. The next installment of the series, Assassin's Creed IV: Black Flag, looks like it will take that aspect one step further, creating a dynamic open world naval adventure on the high seas. At least, that's how Assassin's Creed IV was described by two of its developers when I got my first look at where the series is going next. 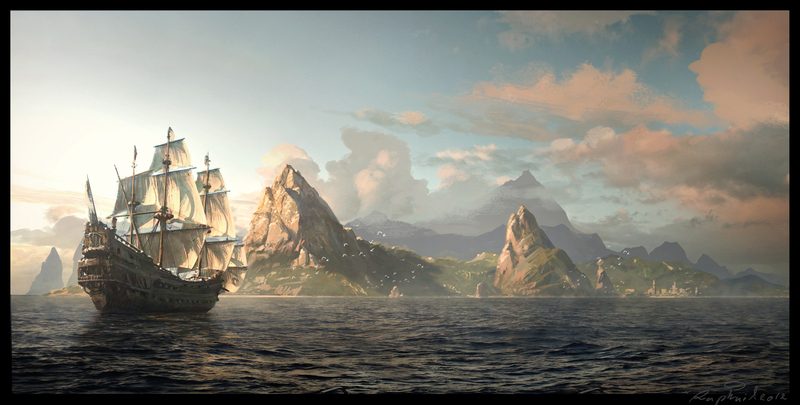 Associate Producer Sylvain Trottier and Art Director Raphael Lacoste called it the "first truly naval open world game," and the new setting, the early 18th-century Caribbean, definitely supports this idea. Instead of exploring a huge chunk of land, like Renaissance Italy or the colonial Northeast region, the next assassin will take to the open sea, going from ship to various Caribbean islands and even exploring the depths below (with the help of his historically-accurate diving bell, of course). 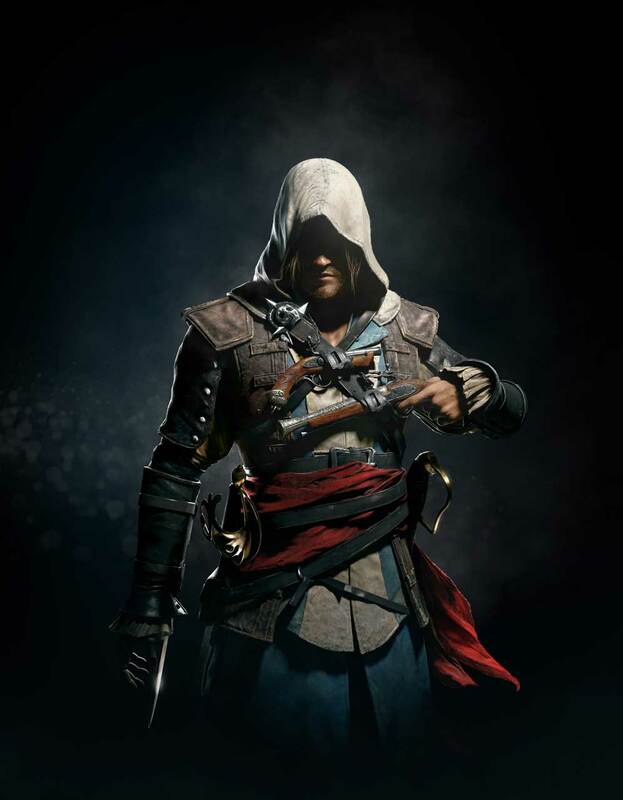 Though the developers didn't reveal much about the story, they did introduce the next assassin, Edward Kenway. 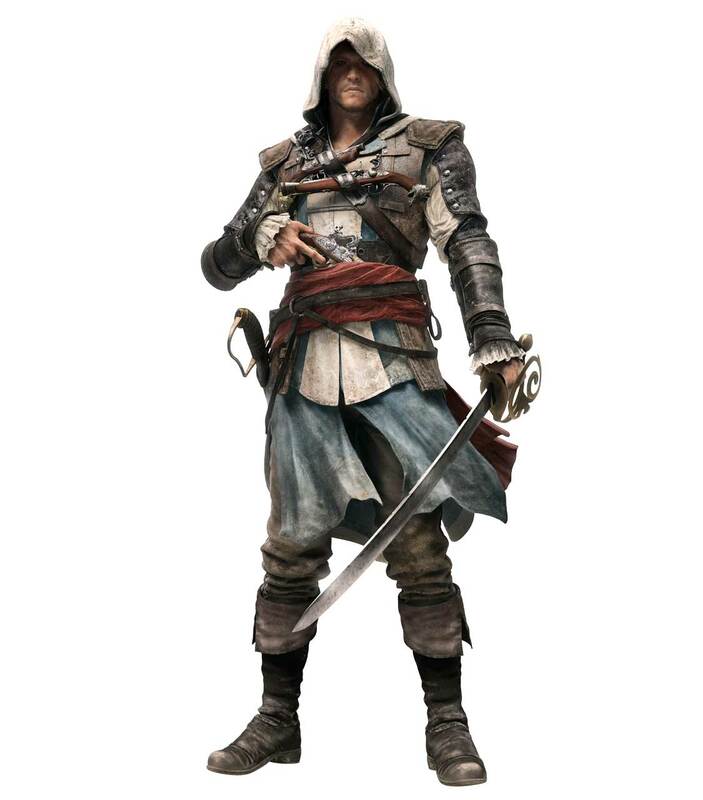 That name might sound familiar to you, and with good reason: Edward is the grandfather of ACIII protagonist Connor Kenway, the father of Haytham, and a "badass pirate" trained by assassins. 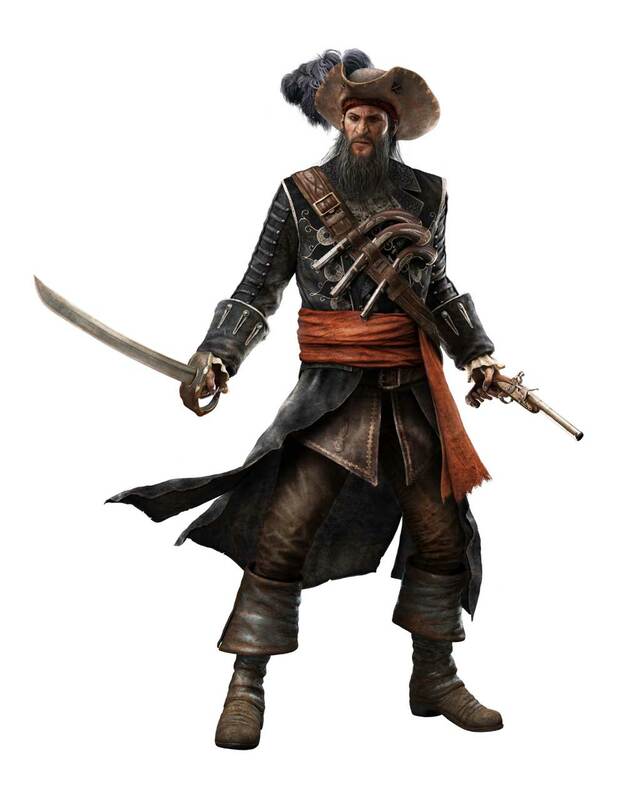 Edward's ship, the Jackdaw, was described as the "second main player of the game," because "what's a pirate without his ship?" 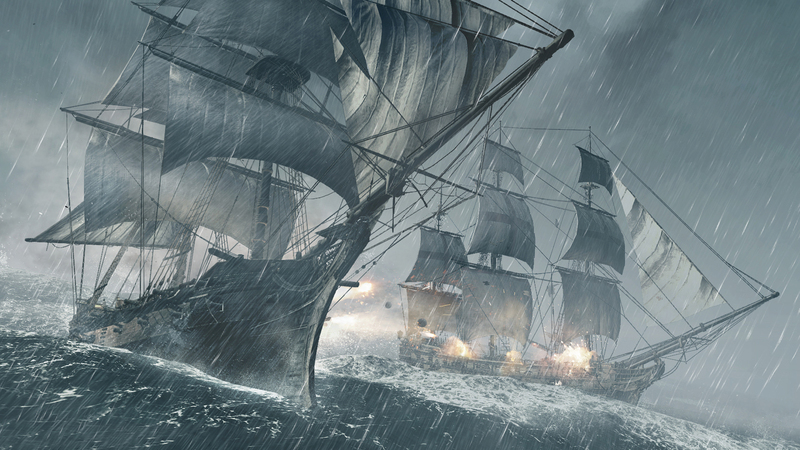 Maintaining and upgrading the Jackdaw and its crew will be a large focus of Assassin's Creed IV, especially with many enemy ships on the high seas. Edward's biggest enemies are massive man o'wars loaded with cannons, and he'll also face fast charger ships that will ram their bows into the Jackdaw. To assist in the strategy of the high seas adventure, Edward is equipped with a spyglass, which reveals critical information about these enemy vessels: Should it be attacked? Can it be boarded? Unlike Assassin's Creed III, where hopping from ship to ship mid-battle was an automatic process, everything is dynamic in Black Flag. Ships can be boarded from different angles, crew members can be recruited, and if taking down that warship isn't an option, maybe leading it into a deadly storm will work. The spyglass can also be used to check out the various islands found throughout the Caribbean, so Edward can keep track of which ones he's already visited and what he found there. 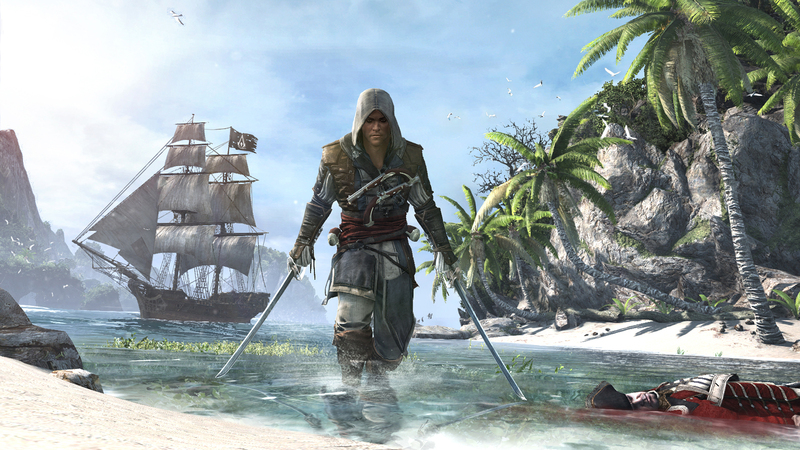 With around 50 distinct locations, Assassin's Creed IV is said to have the "most varied world" of all of the games in the series. 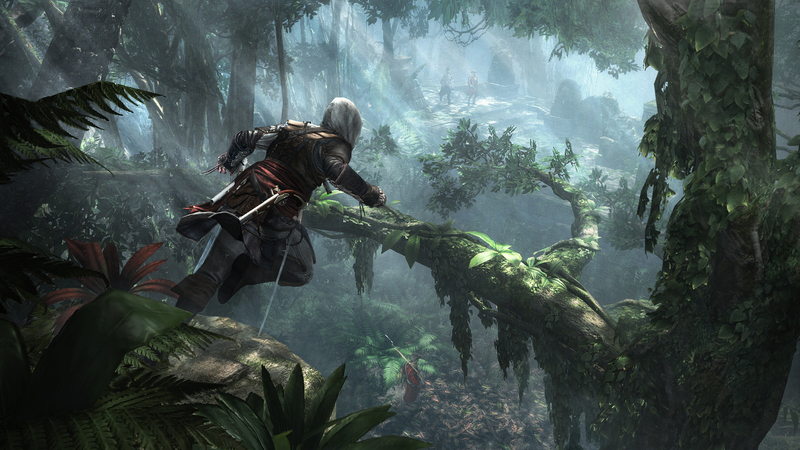 When he sets foot on land, Edward will find himself the bustling cities of Havana and Kingston; the pirate haven Nassau; hidden fishing villages where he can upgrade the Jackdaw; West Indies plantations; hard-to-find coves; "claustrophic" and "dense" jungles; Mayan ruins that look perfect for scaling; and, returning from ACIII, seaside forts. 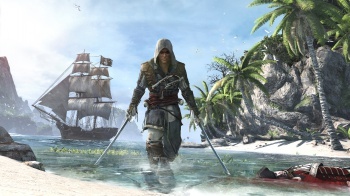 The developers explained that although Assassin's Creed IV is about pirates in the Caribbean, it's not Pirates of the Caribbean; they're striving for a more mature story and the historical ties for which the series is known. Legendary pirates Blackbeard, Benjamin Hornigold, Calico Jack, Charles Vane, and Anne Bonny help bring the piracy to life, along with historical events like the wreck of the Spanish armada and the marooning of Charles Vane. Though they couldn't say much about it, there is a present-day link in Assassin's Creed IV. As those who played ACIII know (spoilers), Desmond's story is over; instead, Edward's modern counterpart is you, the player. As a full-time Abstergo employee, you'll be the one in the animus, with the present-day supporting cast from Assassin's Creed III also appearing in Black Flag. Another aspect the developers couldn't talk much about is Assassin's Creed IV's multiplayer, but it is coming back with new playable characters, new modes, and new maps, all of it pirate-themed. So why did Ubisoft make Assassin's Creed IV instead of continuing Connor's story, like it did with Ezio in Brotherhood and Revelations? "Because we can!" 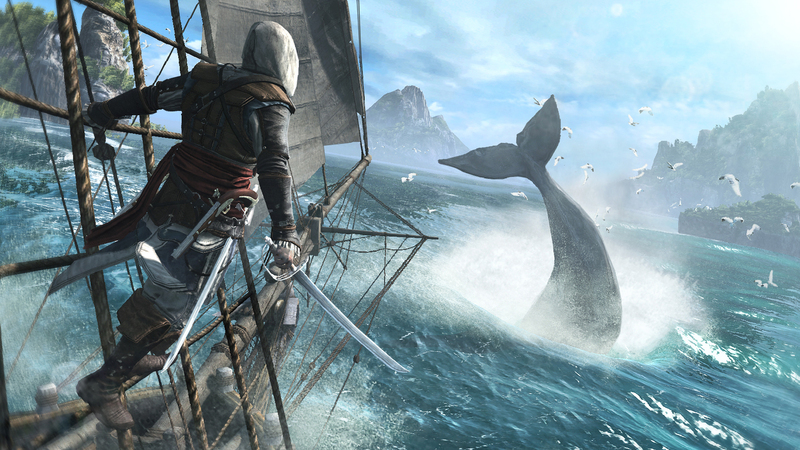 The developers wanted to create a "refreshing" experience, and the bit of in-game footage I saw did look like a fresh start: a wide variety of land and sea environments, intimidating sea creatures ripe for harpooning--and yet Black Flag still looks like it belongs in the series. Going backwards in time instead of forward, with a protagonist so closely related to the last one, is a step in a different direction for Assassin's Creed, but maybe it's also what the series needs to keep from becoming stale and predictable. Made by Ubisoft Montreal with help from the Singapore, Sofia, Annecy, Kiev, Quebec, Bucharest, and Montpelier teams, Assassin's Creed IV: Blag Flag was described as being developed by "all the best pieces" of Ubisoft. It's due to launch in the fall of 2013 on the PlayStation 4, PS3, Wii U, Xbox 360, and PC, with the PS4 version "pushing the visual bar" (and that's all they would say about next-gen features). 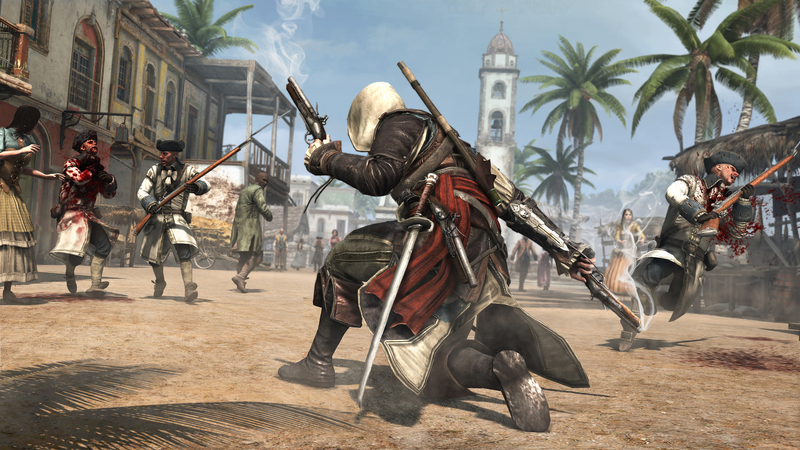 With months to go before release, Black Flag is a lot of ideas with the potential for greatness. I only hope that when I finally get my hands on Assassin's Creed IV, it lives up to those expectations.